As an SEO nothing breaks my heart more than the improper use of a subdomain or multiple subdomains. In my time I've seen a string of common mistakes when using multiple subdomains. 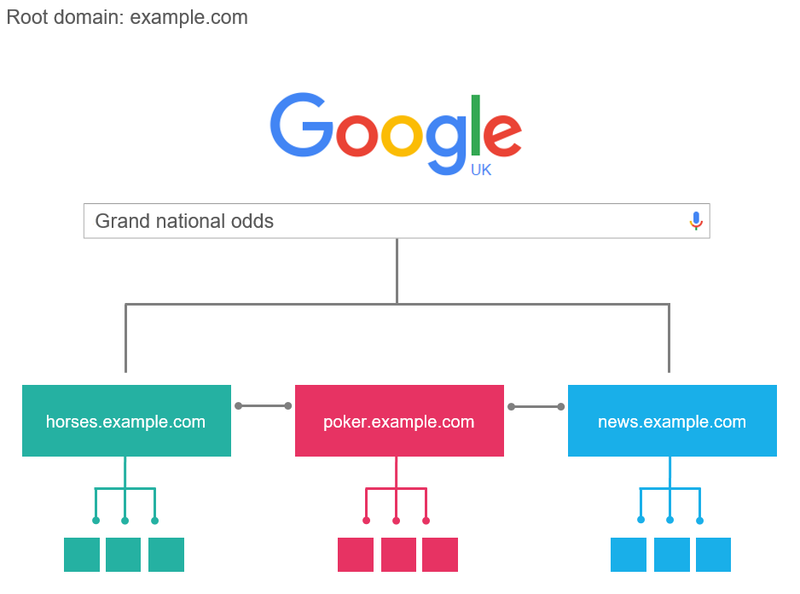 Poor use of multiple subdomains causes a split site's authority, duplicating content or worse having domains penalised and having entire sites de-indexed by search engines. It basically, makes a SEOs work twice as hard. Don't get me wrong, I have nothing against subdomains and when used with consideration for search engines it can give provide your site with a powerful weapon. A subdomain can give you an edge over competitor sites by offering your site improved load balancing, speed improvements as a content distribution network or a superior mobile experience but that's a post for another day. In this post, I'll be handling how to tracking visits across multiple subdomain architectures. If you're already running multiple subdomains and want to improve the quality of your data, I'll take you through how to combine your all your sites into one Google Analytics view. Why do subdomain cause tracking issues? The problem is no matter what it looks like or what you use it to search engines and reporting tools it's seen as a completely different site and is handled as such. If you have multiple subdomains you will more than likely have multiple Google Analytics accounts to track each domain separately, which isn't ideal as it fragments your data sets and makes analysis a nightmare. To complicate things even further is the fact that there is a complete disconnect between visitors. When actually putting together reports you have no way of attributing which traffic came from which sources as traffic that moves from one domain to another will be grouped together as referral traffic. Skewing your data and rendering it almost useless. There are ways to get around this issue but unless you're a reporting whizz and can set up complicated attribution models or you can dev a unique identifier cookie you were out of luck. Until now, with subdomain tracking, you simply slap on some extra code to your current GA script and it does all the heavy lifting for you. This should be setup by default already, but it’s worth double-checking. In the Admin Panel, the root domain must be added to the Referral Exclusion List. This is an important step in the process because when the user moves from one domain to another (including subdomains of the same domain), the Universal Analytics code will send referrer information to Google Analytics. When Google Analytics sees a new referrer that is different from original source/medium information, it will start a new session with the new traffic source information. The Referral Exclusion List prevents this from happening and will let the original session continue. If you have a subdomain site structure without syncing tracking, how have you been handling your reporting? Do you feel this would be a better option for you? Let us know in the comments below.